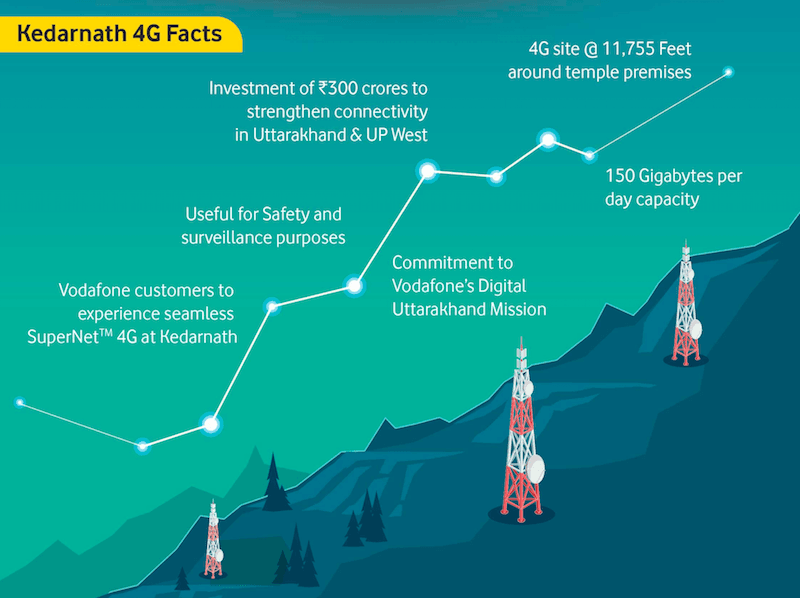 Vodafone has finally rolled out its 4G services in Kedarnath, Uttarakhand allowing over half a million pilgrims visiting the holy shrine each year experience the high-speed data services. 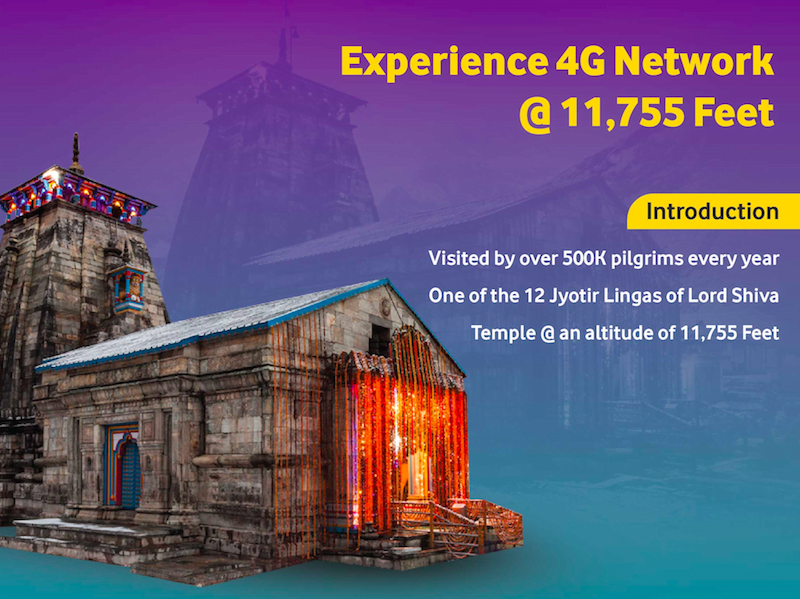 Vodafone has successfully installed the 4G site in the vicinity of the temple at the height of about 11,755 ft, enabling customers to experience seamless 4G in and around the temple premises. Vodafone is among the first private telecom service providers to launch 4G at Kedarnath. The launch has been timed with the annual Chardham Yatra which draws pilgrims across the country to the recently renovated shrine set in the picturesque landscape, in Rudraprayag district. Vodafone also states that the launch of Vodafone 4G in Kedarnath will help the local authorities’ to supervise and manage the yatra trek route, in case of an emergency. “With the fully renovated Kedarnath shrine ready to welcome pilgrim in large numbers, Vodafone 4G will help facilitate a worry-free journey, enhancing their spiritual experience,” said Vodafone in a statement. Going into the history of Vodafone, the telco in the past one year has provided 4G data connectivity to 500+ sites in the hilly regions of Kumaon and Garhwal including Dehradun, Haridwar, Garhwal, Tehri, Nainital, Champawat, Chamoli, Udham Singh Nagar, Almora in Uttarakhand. Users travelling to these locations can enjoy high-speed data services on Vodafone network. FYI: Haridwar & Udham Singh Nagar Districts are completely on Plains and not a single land mass is of Hilly Terrain. Please take a note of this.